Why Boston Globe ‘Capital’ with an A? It’s been a couple of months since the Boston Globe launched its weekly section Capital, and for the most part it seems pretty fat (12 pages) and happy (exuberant layouts). The only thing even vaguely controversial about the sections is the spelling of its name. Globe editor Brian McGrory has a running gag with Jim Braude and Margery Eagan on WGBH radio about why it’s Capital with an a not an o. McGrory keeps wriggling out of revealing the paper’s reasons, but here are three possible ones from today’s edition. 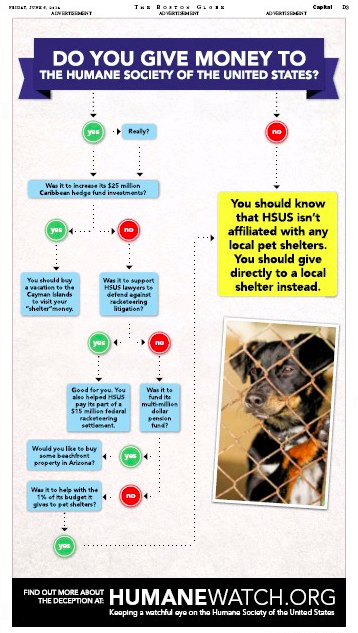 Would those ads likely have run in the A or B section if there were no Capital? Probably. But you have to believe a section geared toward political junkies is a more appealing environment for all three advertisers. For the first two, it’s obvious. 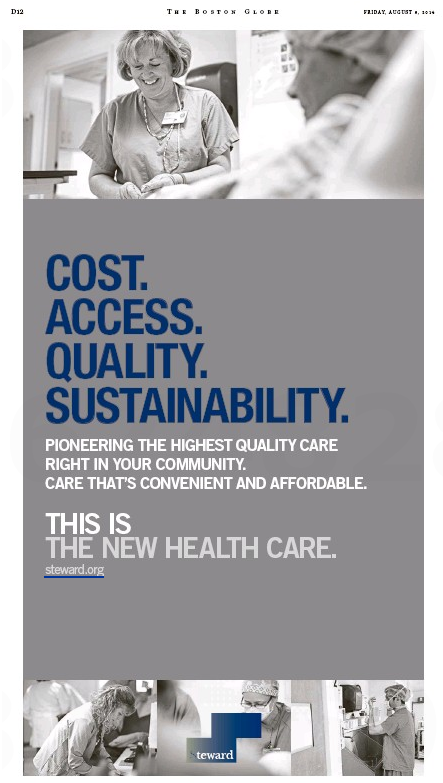 For Steward Health Care, it’s a bit more oblique. 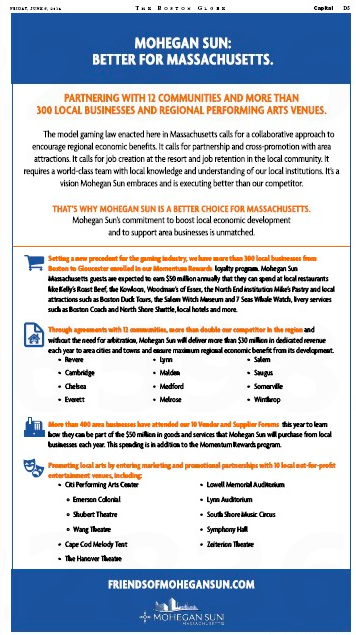 Some think the company decided to sit this one out because of its close ties to Coakley. The attorney general in 2010 approved the acquisition by Cerberus/Steward of six Caritas Christi hospitals owned by the Boston archdiocese. Coakley also retains some regulatory oversight over Steward, including a say in whether the health care system can shut down any of its hospitals. Steward executives, led by CEO Ralph de la Torre, gave big to Coakley when she ran for the US Senate in 2010 and ponied up again earlier this year as she mounted her run for governor. Campaign finance records indicate de la Torre and his wife Wing led a group of Steward executives and spouses who made $500 donations to Coakley on February 26. More Steward officials contributed to Coakley in late March. 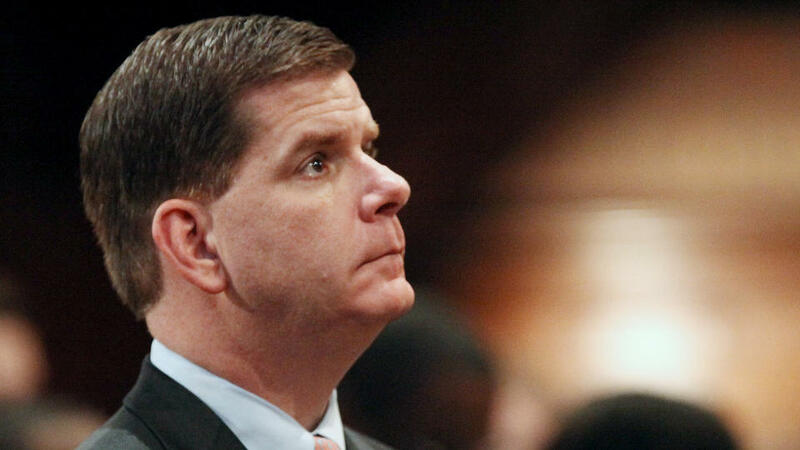 In all, Steward executives have contributed more than $18,000 to Coakley since late last year. 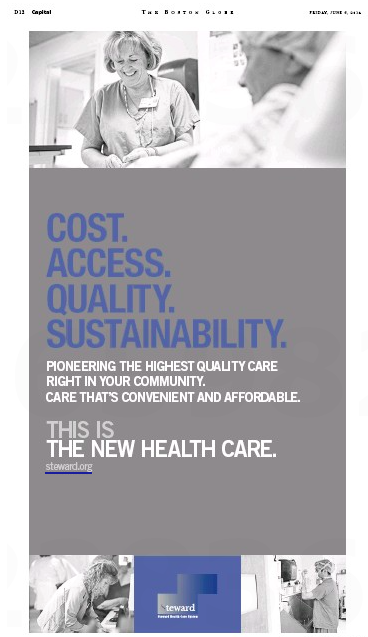 No other health care system has taken such an interest in the gubernatorial campaign, which may help explain why Steward is less interested in the legal fight over the Partners expansion plans. Interesting. But back to the original question: Why Capital with an a? Maybe because that’s what it hauls in. P.S. 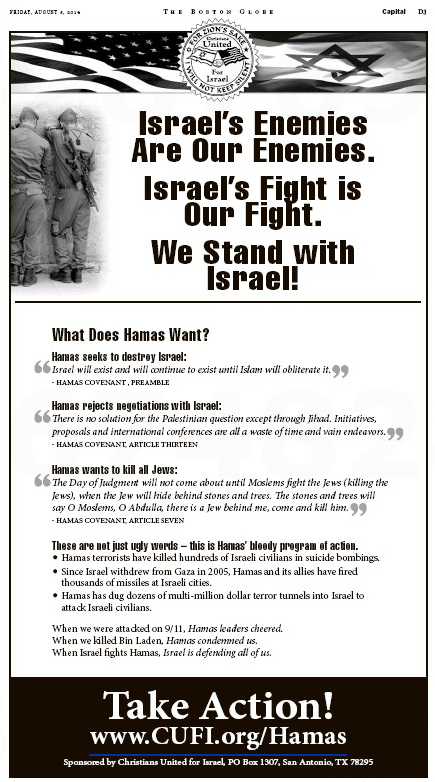 Needless to say, none of the above ads ran in the Boston Herald. 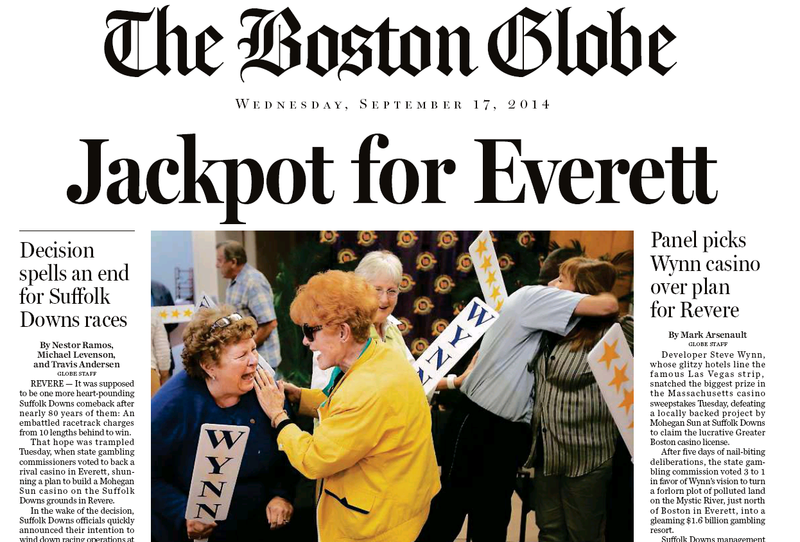 In Boston’s ongoing Casino Roulette, the latest Wynn Resorts offer got very different reactions in the local dailies. 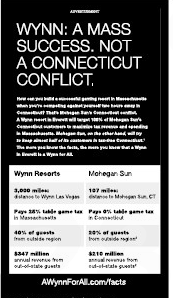 Wynn Resorts has offered the City of Boston $1 million upfront and $2.6 million annually, along with hiring preferences for city residents, as compensation to offset the possible effects of a planned hotel and gambling resort on the Mystic River waterfront in Everett. 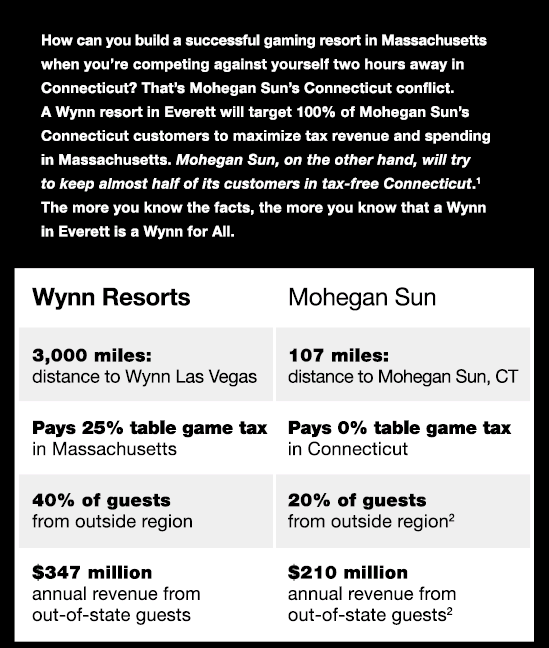 It is the richest deal Wynn offered to any community around the company’s planned resort, but far less than the $18 million annual payment promised to Boston by a rival applicant, Mohegan Sun, which is proposing a Revere casino. 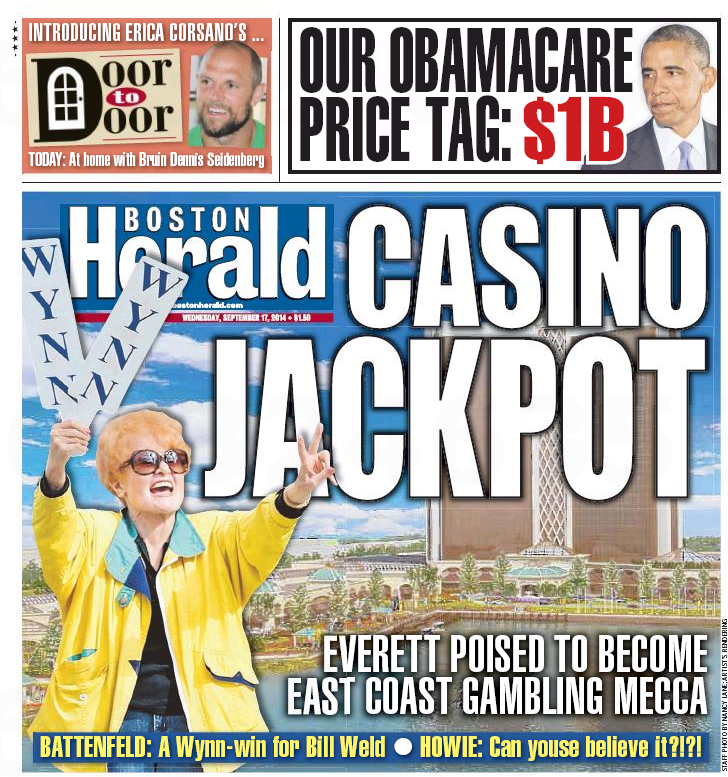 The best-and-final offer Wynn Resorts made to Boston — but Mayor Martin J. Walsh rejected — to soften the impact of the casino it wants to build in Everett called for $6 million in one-time payments and $2.6 million annually, according to a copy of the deal obtained by the Herald. 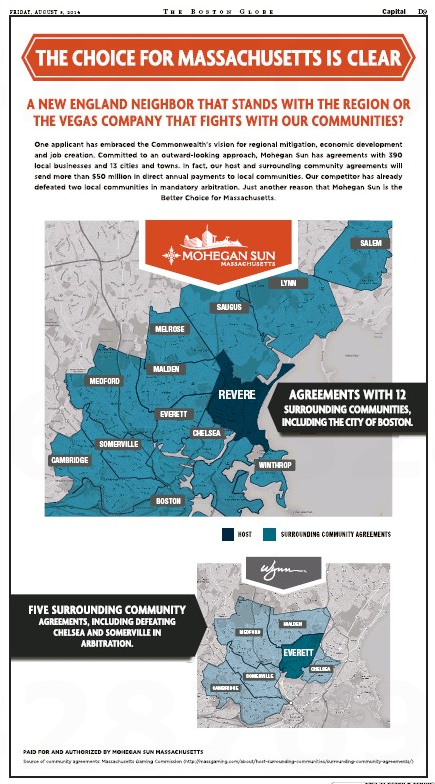 The cash pales in comparison to the $30 million upfront and minimum annual $18 million pledged to Boston by rival Mohegan Sun for a gaming resort on the Revere side of Suffolk Downs. That’s the local dailies in a nutshell: Sunny-side-up Globe, sunny-side-down Herald. When newspapers introduce new sections to their print editions, it’s always about one thing: advertising dollars. So as welcome as the Boston Globe’s new Capital section may be to us in a gubernatorial election year that also sees the U.S. Senate up for grabs, the full-page ads in today’s maiden voyage are even more welcome to the Globe. The feisty local tabloid is quite the frontrunner in today’s edition. 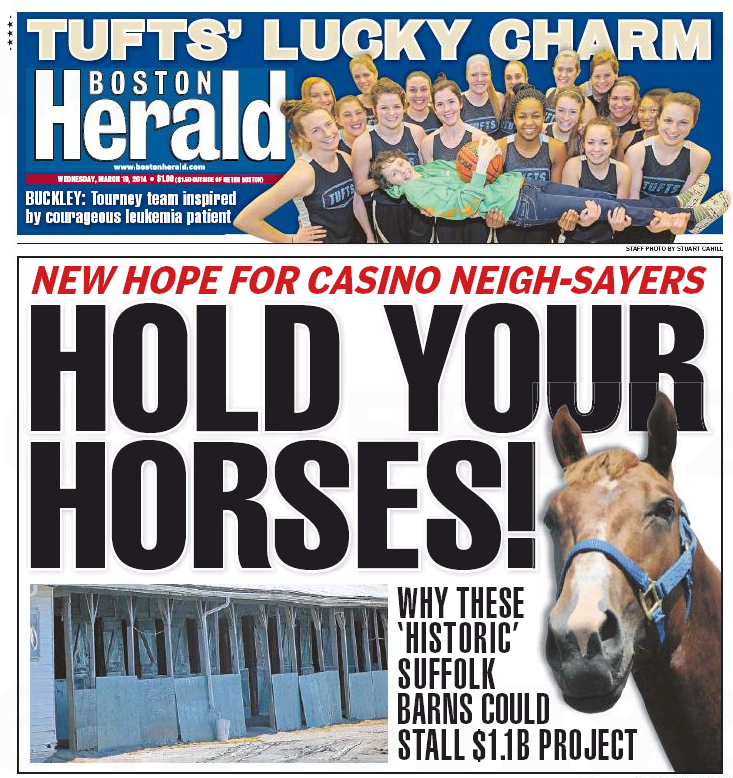 Rows of decrepit, manure-strewn racehorse barns could pull the reins on Suffolk Downs’ casino dreams, after the Massachusetts Historic Commission threw up a roadblock on their proposed demolition in a landmark claim development experts say could be costly and time-consuming at best — and a project-killer at worst. 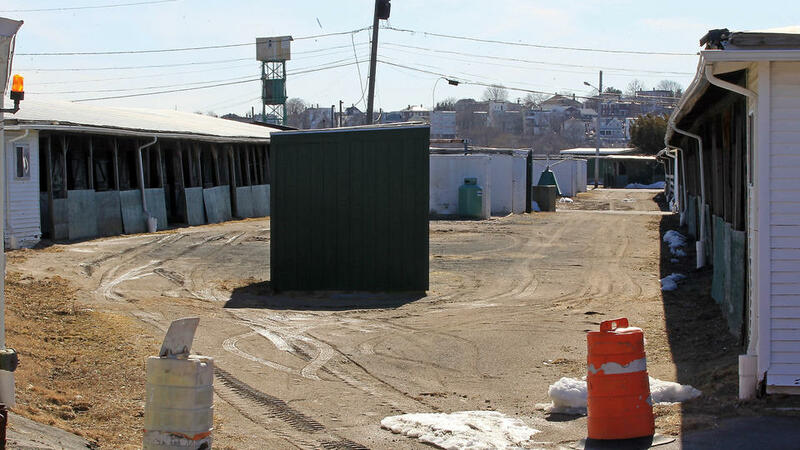 Suffolk Downs wants to demolish 30 wood-frame horse stables and a pony barn on the Revere side of the track to make way for the casino. It plans to move the barns to the East Boston side of the track, where the art deco clubhouse, grandstand and racetrack are located, all of which were built in 1935 and are listed in a state inventory of historic landmarks. Not so fast, pony boys. Translation: We just opened the family-size can of worms. Crosstown, meanwhile, the story failed to place or show in the Boston Globe. No high horse for the Globeniks today, eh?